Summer is creeping up on us! Here in the midwest, we’ve been experiencing a delay but the warm days are coming more often and the herbs and vegetables are finally starting to get some growth on them. Herbs are beginning to flower in earnest, a bit behind schedule but still, as sure as the sun shines, they make their appearances. Red Clover is often overlooked as a nourishing, healing plant, often given to livestock as wintertime feed but it is one of the best anti-cancer herbs around. Red Clover is great for working with tumors and encased cysts, especially those appearing on the upper body. He also makes a wonderful cough remedy. 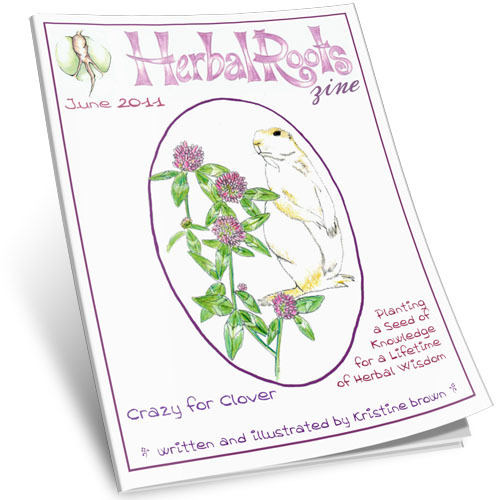 Herb Spirit: How Do You See Red Clover?